BIAS has been a small group, and EuBIAS has been a bit larger but now with NeuBIAS, it's big! EMBL Master Course for Bioimage Data Analysis (BIAS2016): Registration is now open, deadline on April 15th. A new book is now online: “Bioimage Data Analysis”. The instructors of EMBL Bioimage Data Analysis coauthored 10 chapters on practical techniques for analyzing image data in biology. E-books are downloadable free of charge from the following link. The CMCI seminar has been either spontaneous or took a form of mini-symposium, but now in a new format. Every three weeks, seminar member gathers and two of them present image analysis problems / solutions or reads a paper. For more details and the schedule, see this page. The 2nd “EMBL Master course on BioImage Data Analysis” will be in May. I , Sebastien Tosi (Barcelona) and Perrine Paul-Gilloteaux will be organizing the course. Here is the wiki page for this year. I added biography of invited speakers, so please check if you are interested! By the way, we abbreviate the course title as “BIAS2014”. 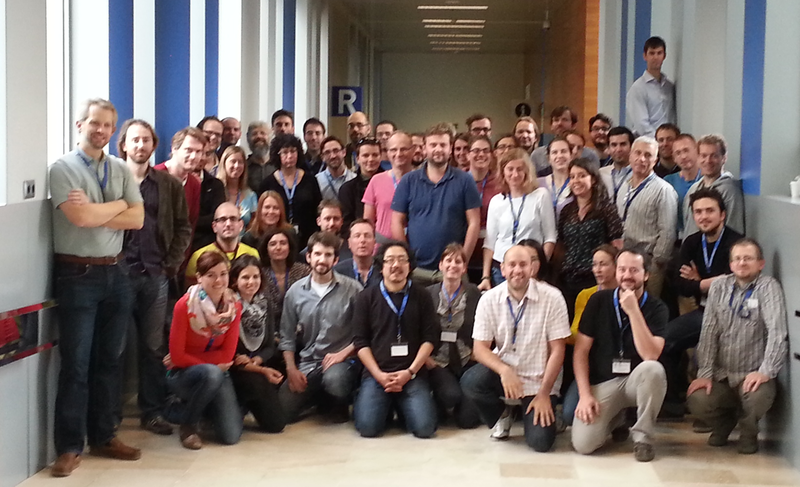 The European Bioimage Analsis Symposium (EuBIAS) 2013 ended successfully! The meeting was with many active discussions, the course impressed students, the taggathon (we invented this event) generated a new type of bioimage analysis tool aggregator Biii.info. Great developers, great analysts, great users! Community, community, community! The ImageJ plugin "Temporal-Color Code" was used for the analysis of the contraction of actomyosin gel and now in the cover page of Nature Physics, September 2013 issue. D. L. Taylor's “Solation-Contraction Coupling” hypothesis now on the move. Thanks to José Alvarado for his kind acknowledgement and a big applause for his successful publication! Which tool is appropriate for my question? Who should I ask my very specific question about image analysis? I want to increase my skill, but I do not know how. I am a developer and want to know more demands of biologists. I became an image analysts specialist. Is there a community for me? Join the meeting and get to know top-developers, leading image analysts and biologist with similar problems! We will have the third CMCI image analysis symposium on July 5th (Fri), 2013. See more details. We abbreviate the course title “BIAS 2013”. Registration deadline is in February, and we will be waiting for many applications!